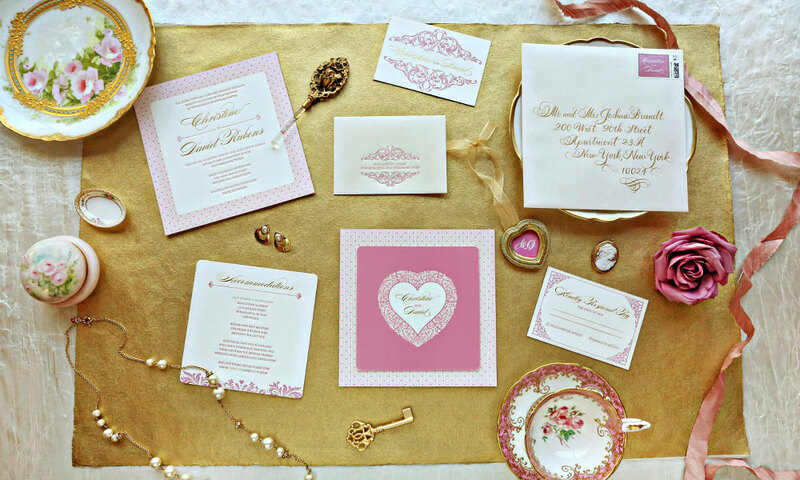 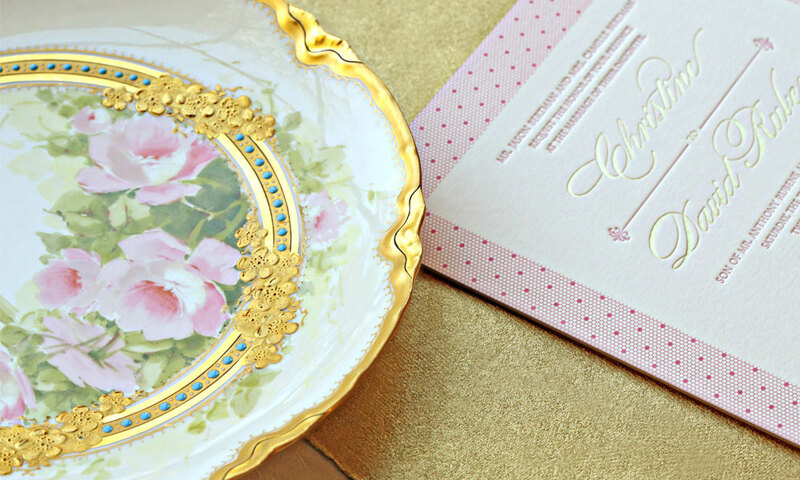 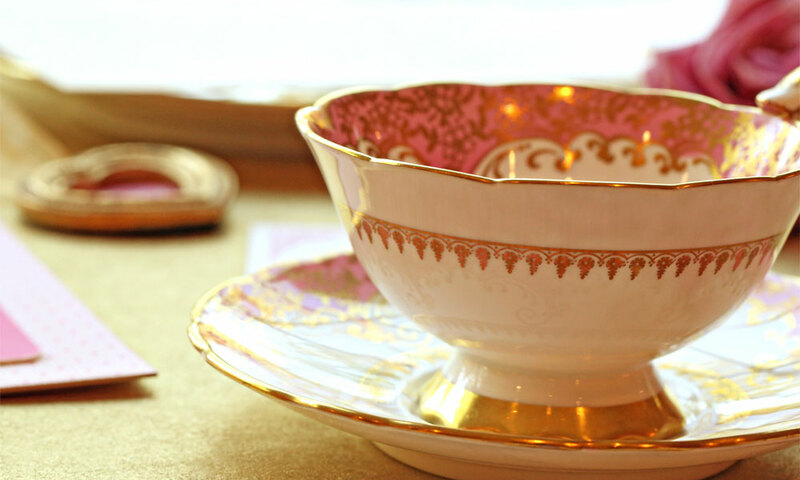 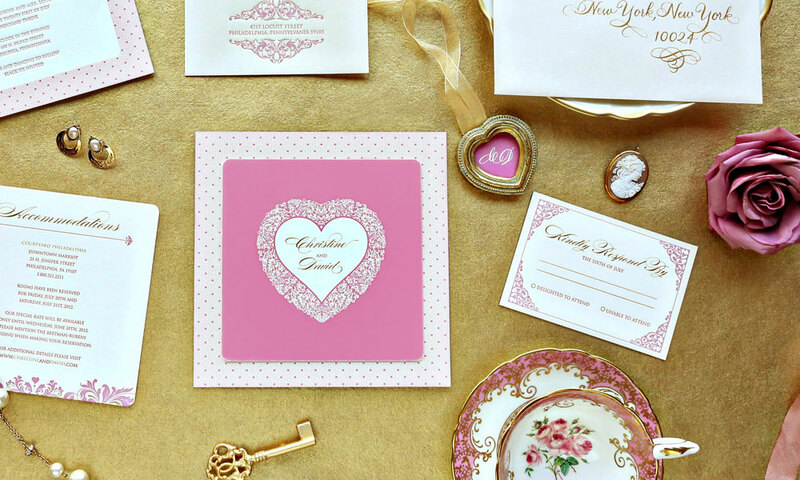 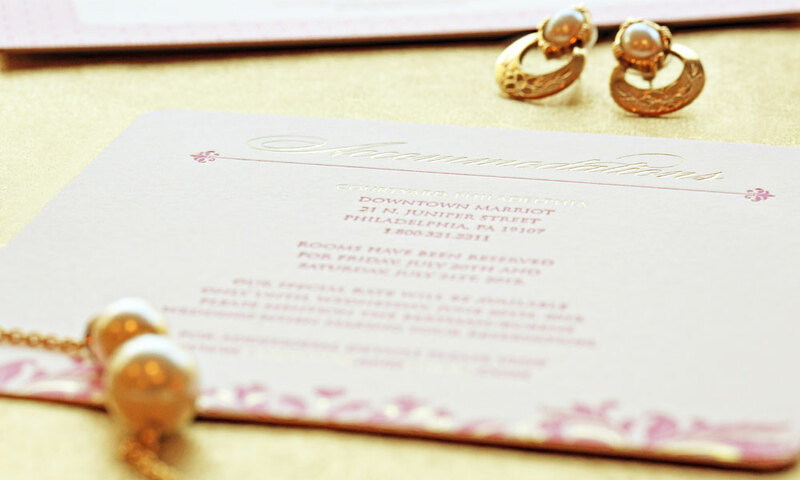 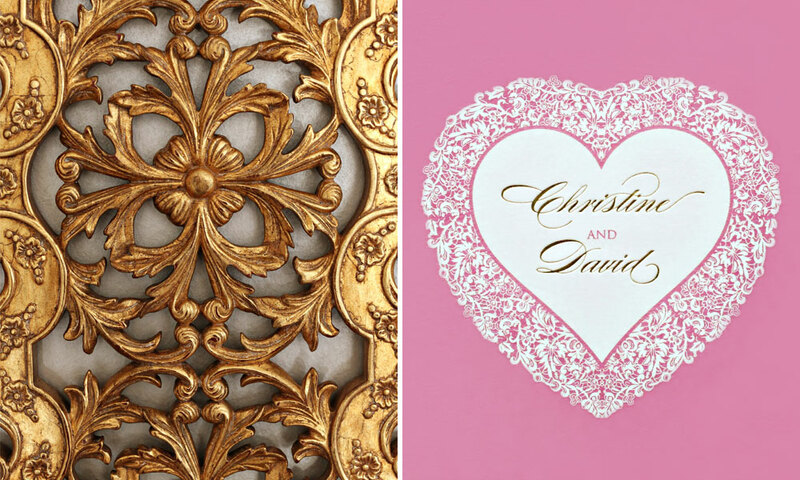 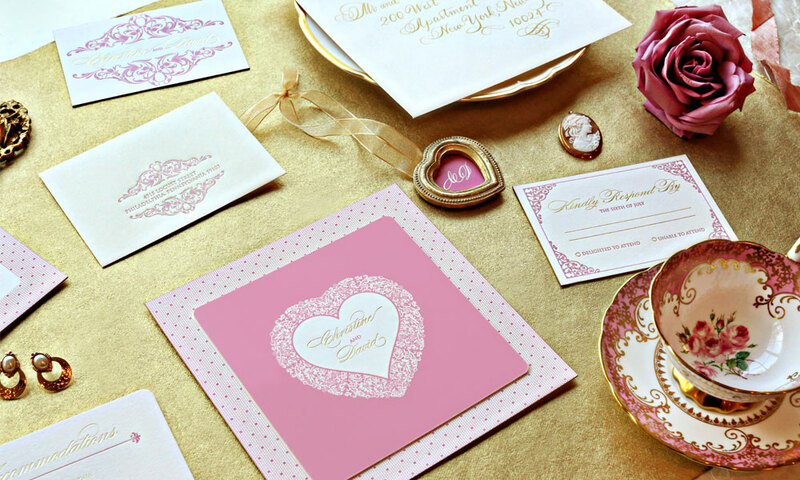 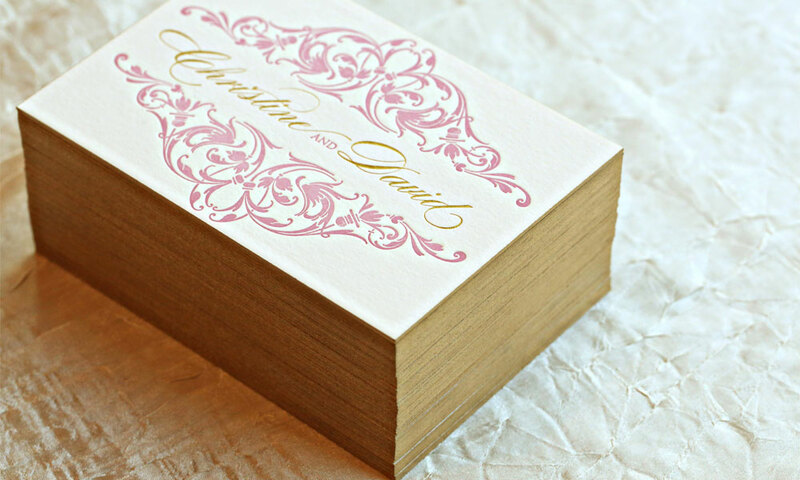 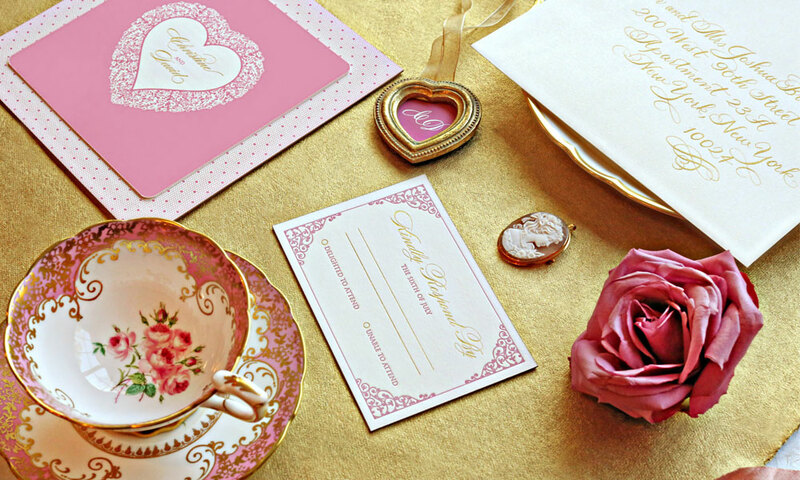 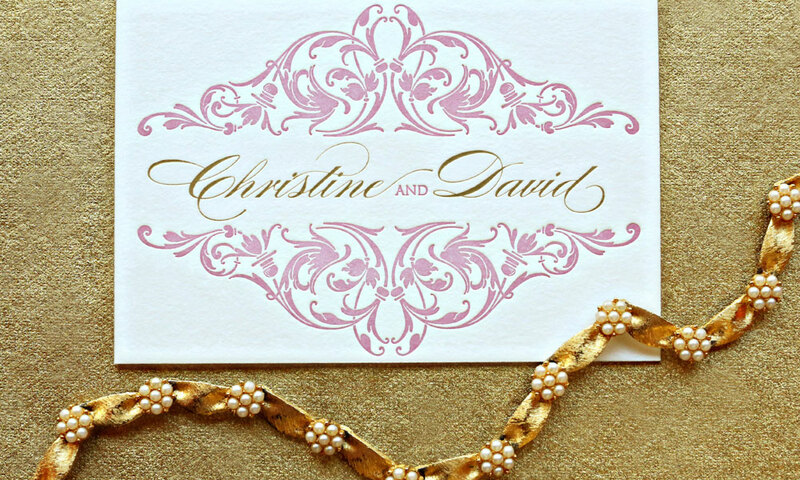 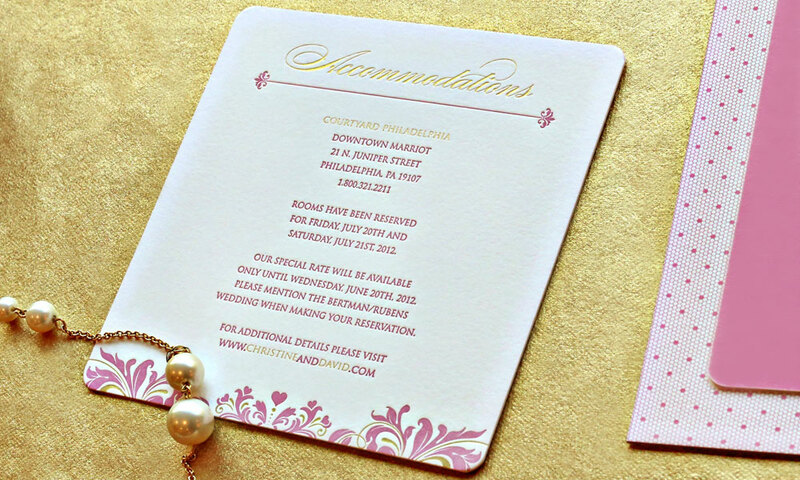 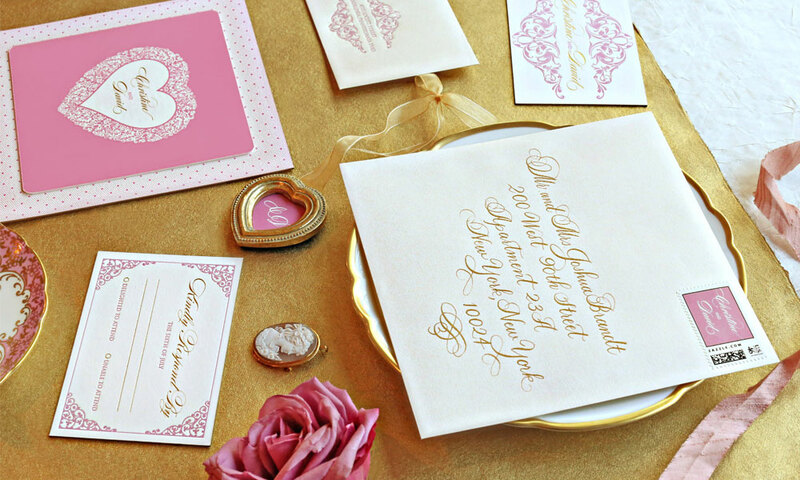 Luxurious pinks, gold foil and soft lace combine to create this incredibly exquisite romantic wedding invitation suite inspired by the ornate grandeur of the gilded age. 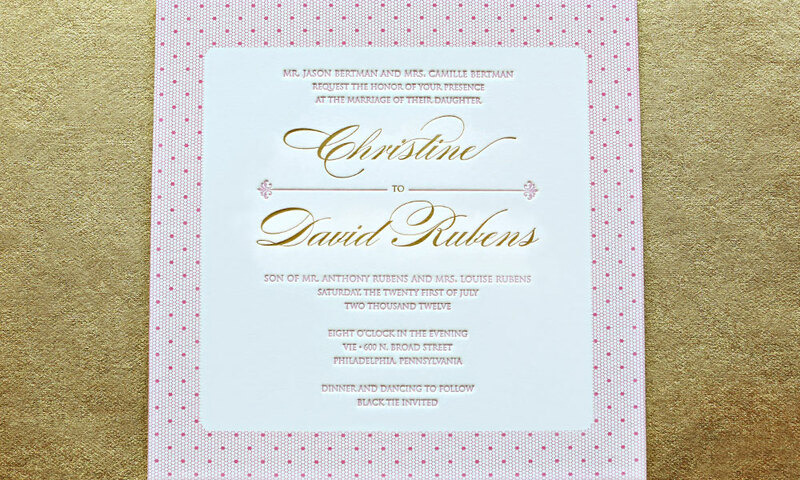 Guests open a shimmery, opalescent white and gold envelope to reveal this beautiful invitation with pink and gold foil on premium, thick white cotton paper. 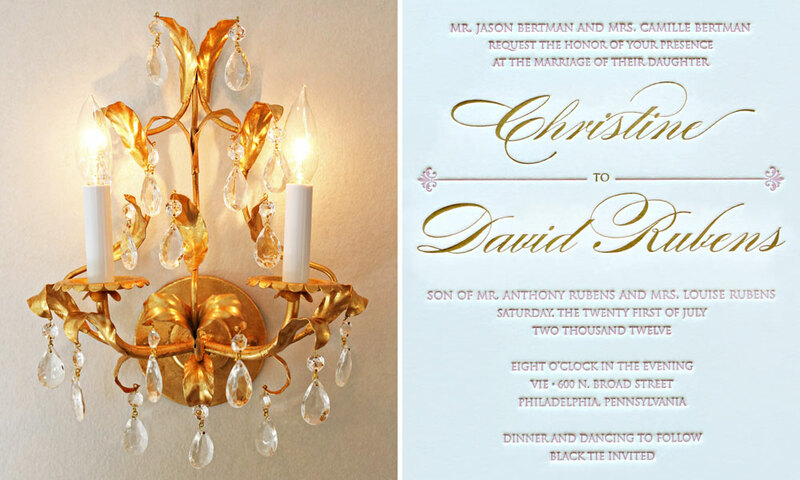 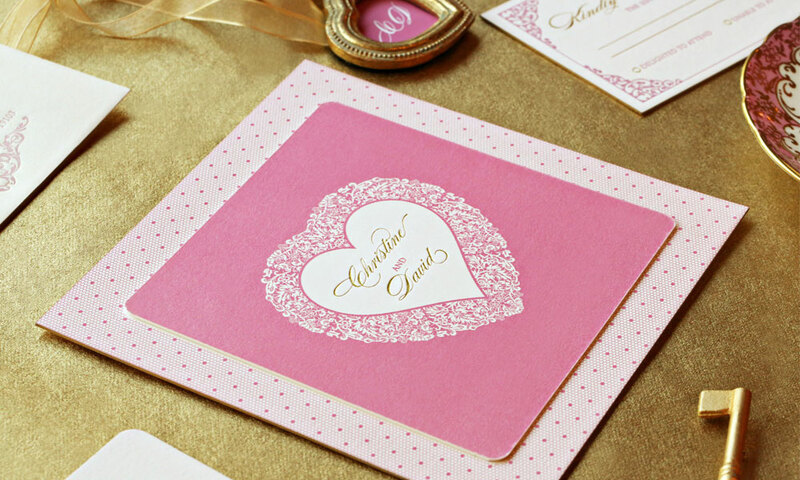 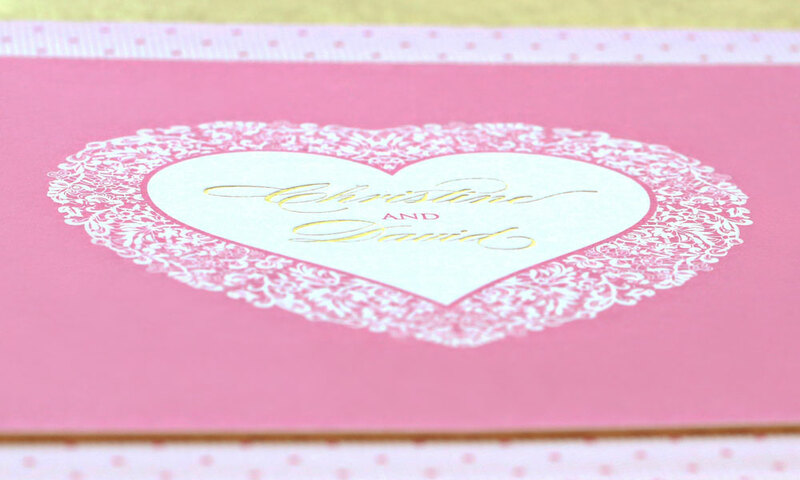 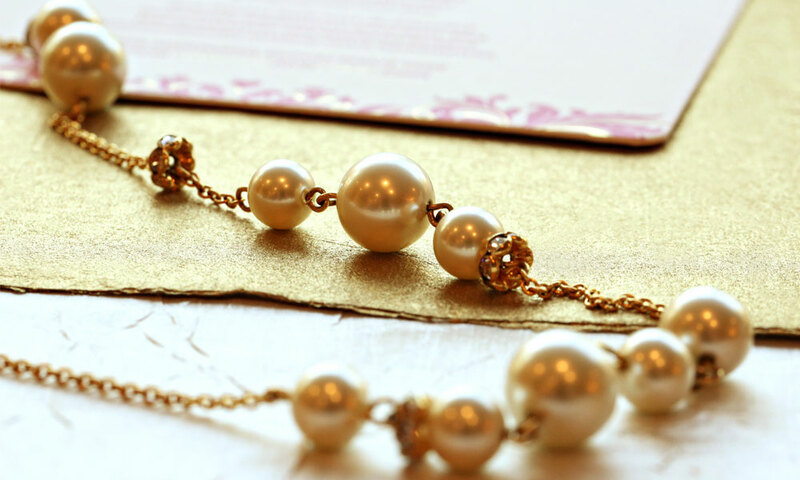 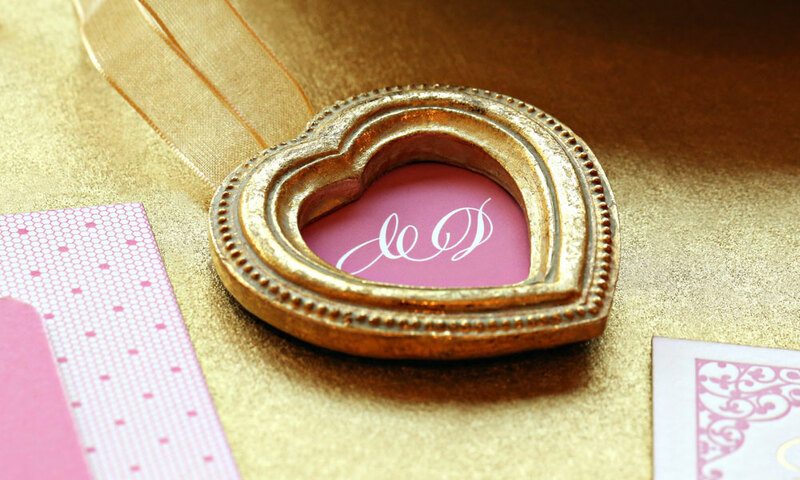 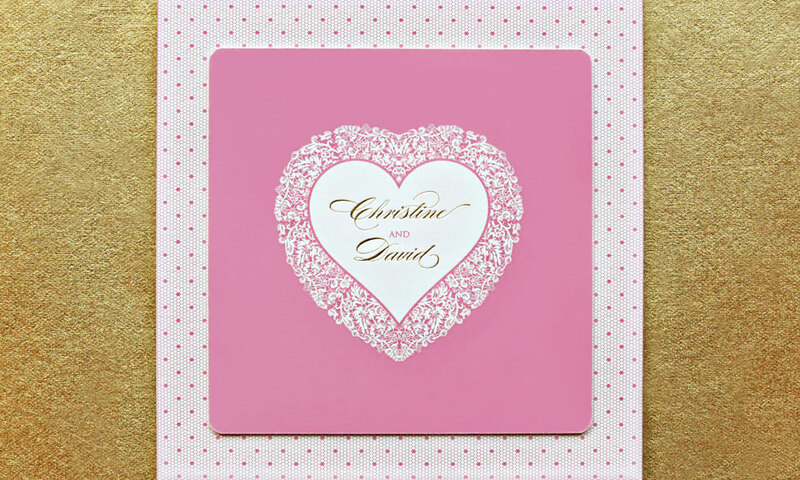 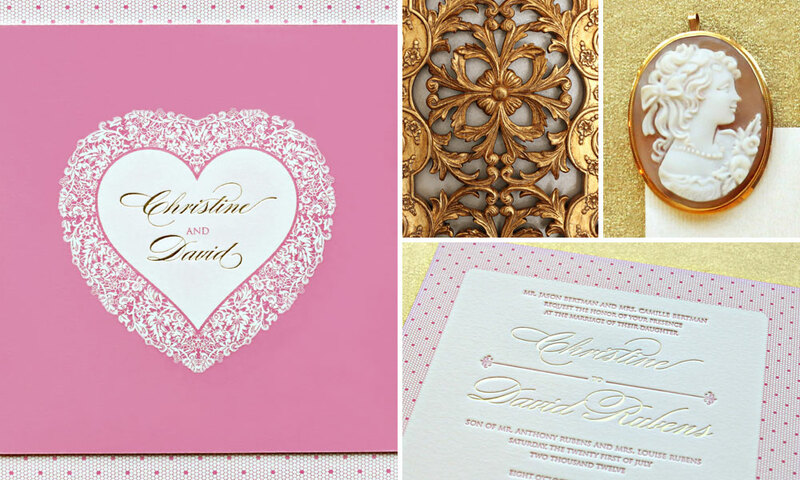 A stunning lace heart graces the couple’s names foil stamped in gold. 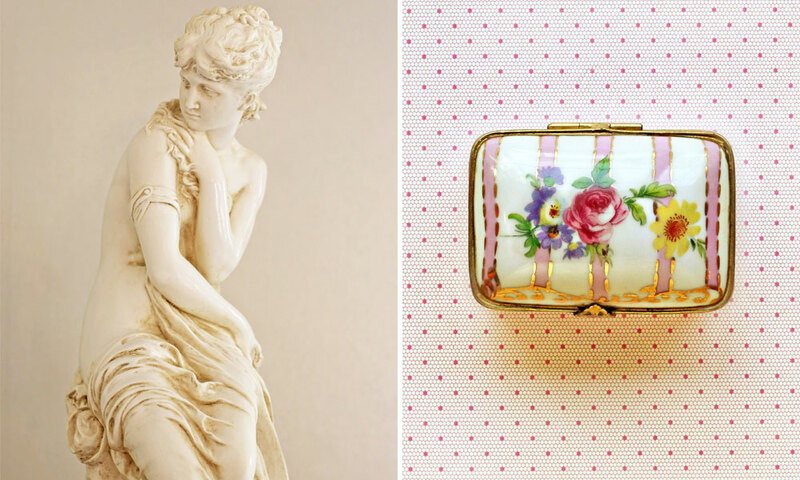 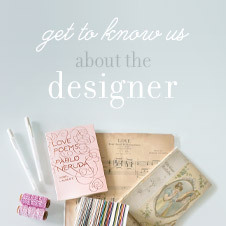 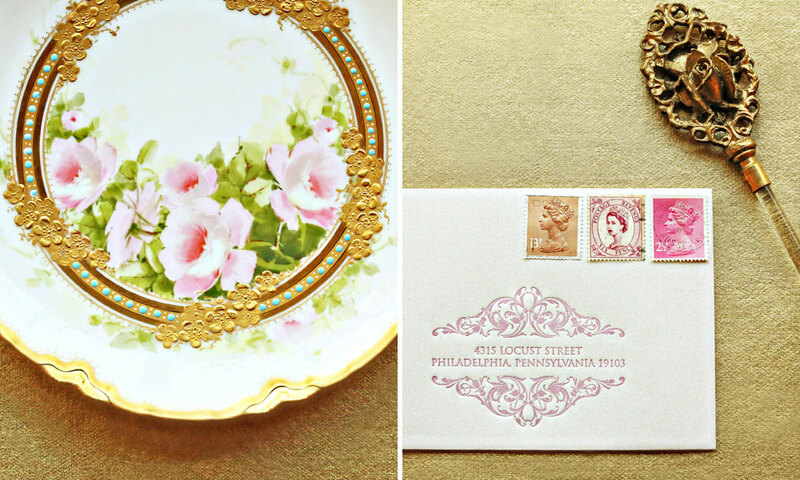 Illustrations of intricate antique-inspired details add a touch of vintage flair. 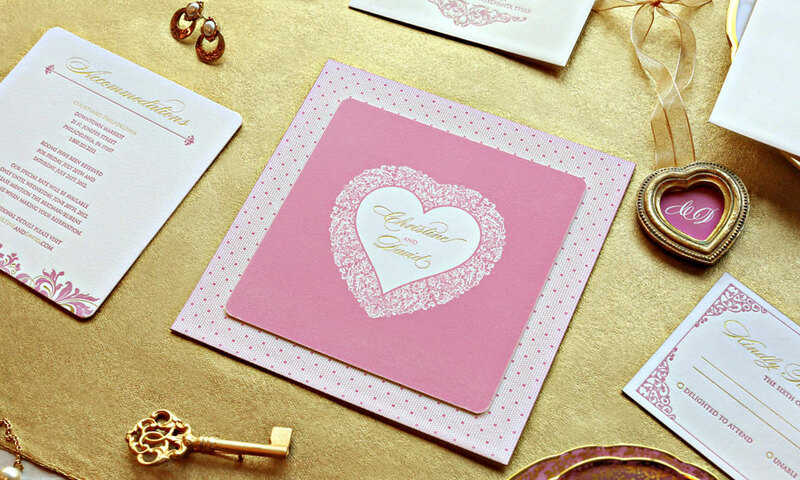 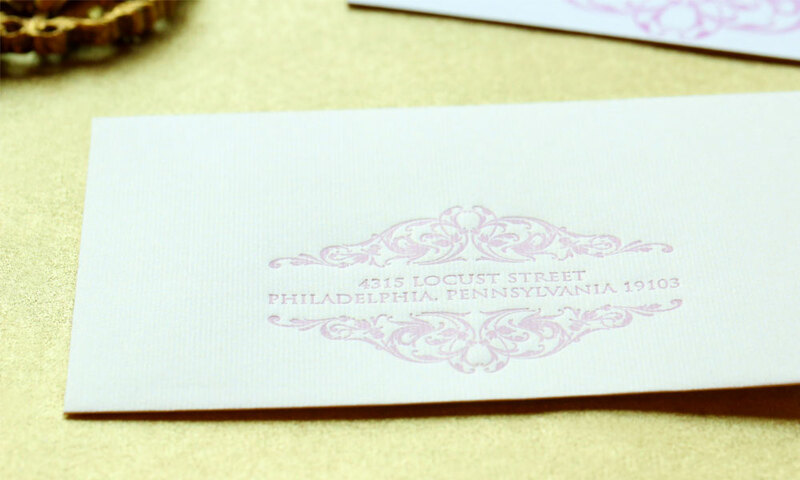 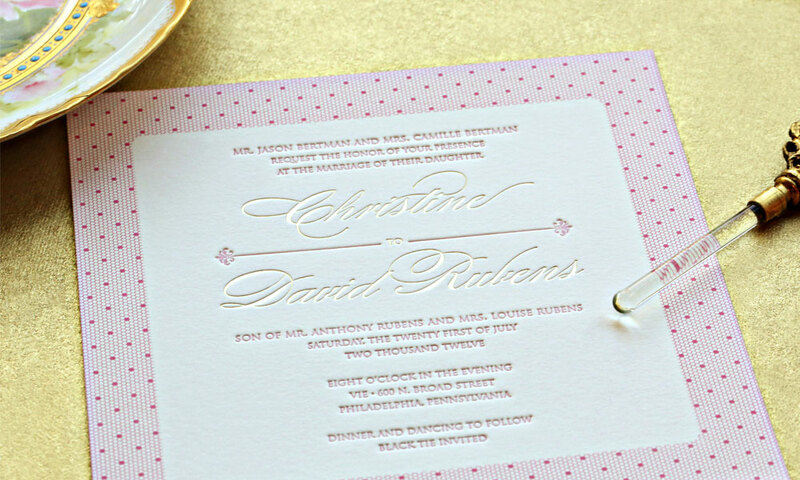 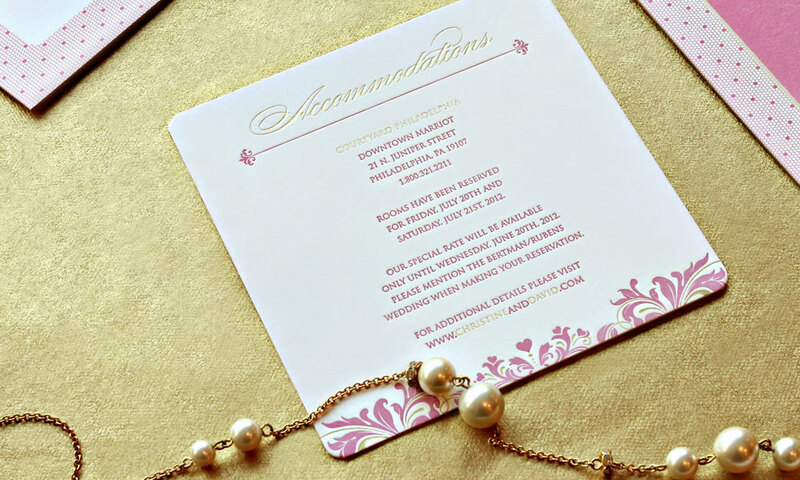 Combining pink honeycomb, flat-printed lace patterns with antique gold foil stamped scripts and elegant pink letterpressed typefaces, this invitation suite is a timeless classic. 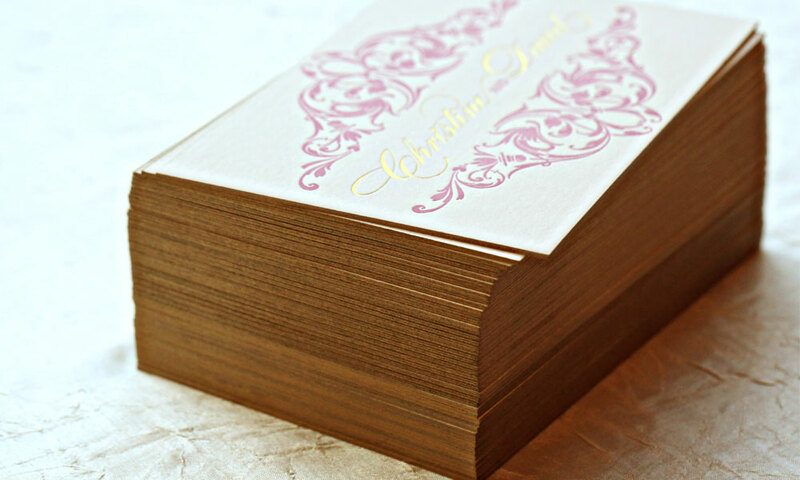 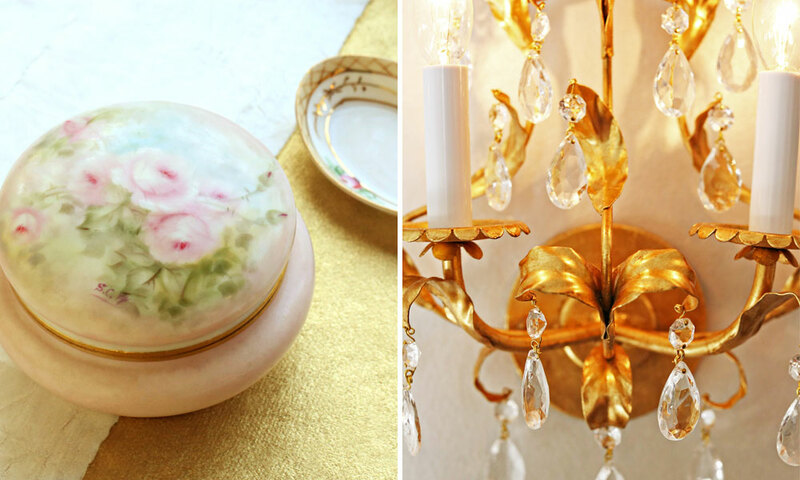 Rounded corners and gold edge painting complete the luxe package. 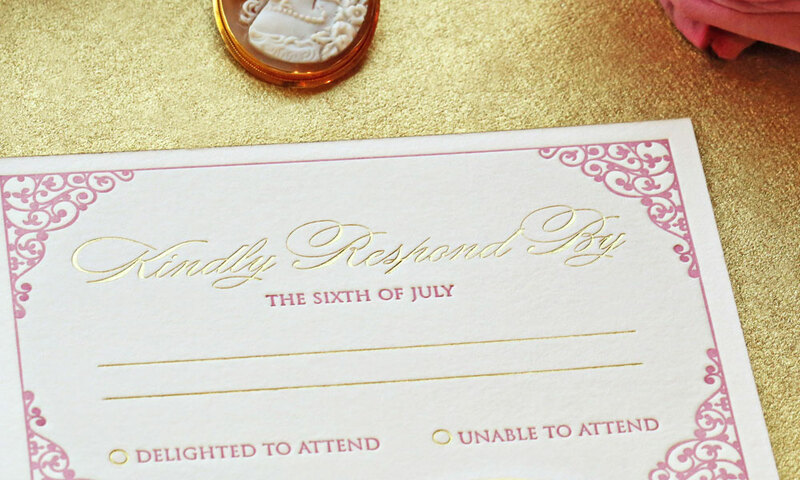 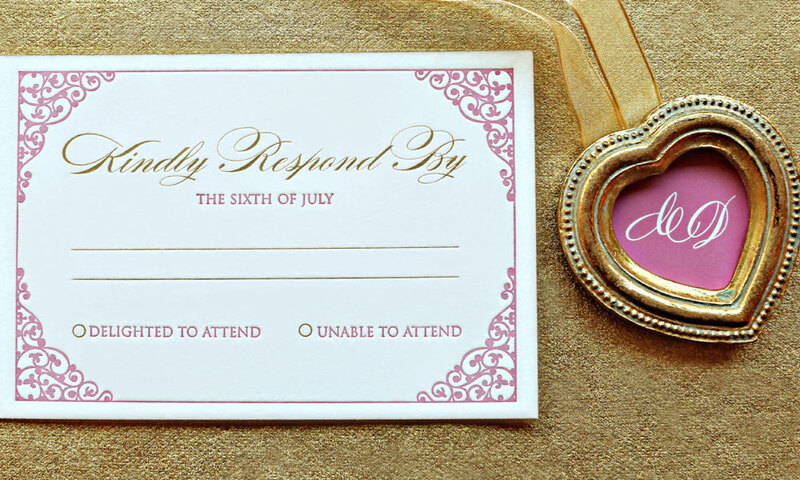 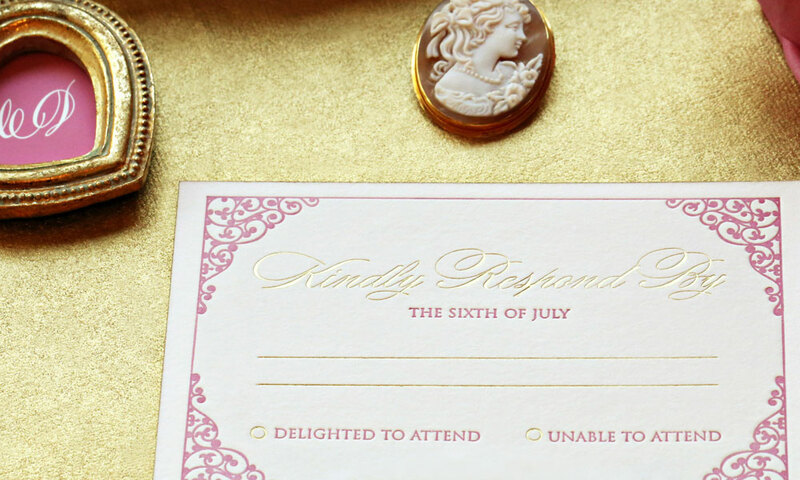 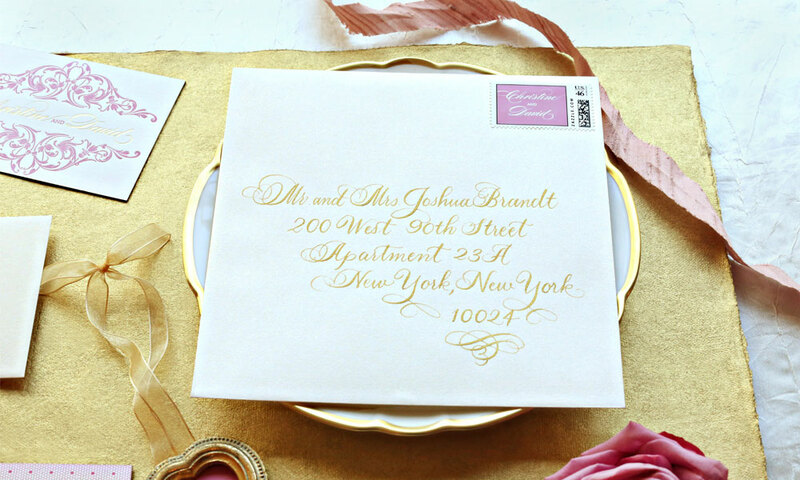 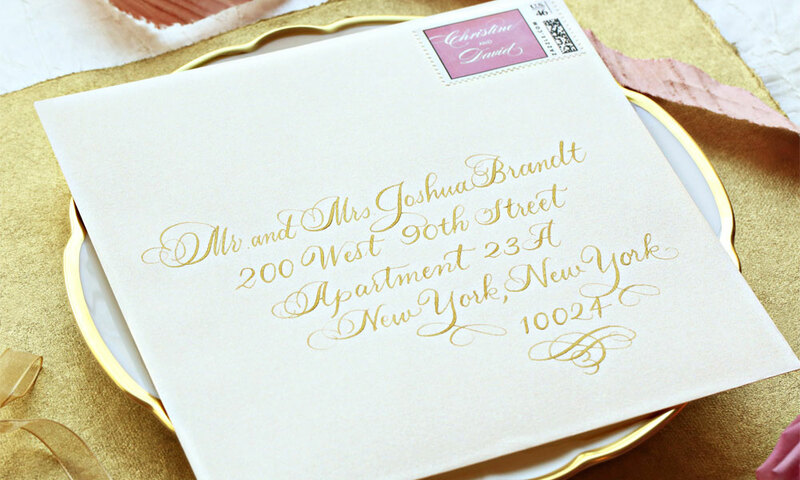 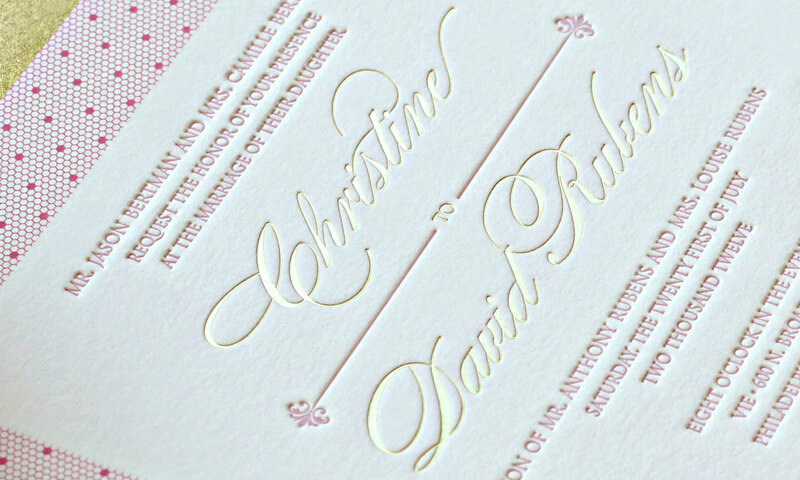 A custom stamp with the couple’s names, pink antique letterpress return address and gilded, fabulous handwritten calligraphy boldly decorate the envelope with the splendor of this era.